The Death of Superman is a story that’s almost as well-known as the title superhero’s origin story itself. DC Comics fans saw it play out in the pages of an epic crossover event in the early 90s, followed by a multitude of adaptations that included novelizations, video games, and multiple movie treatments. 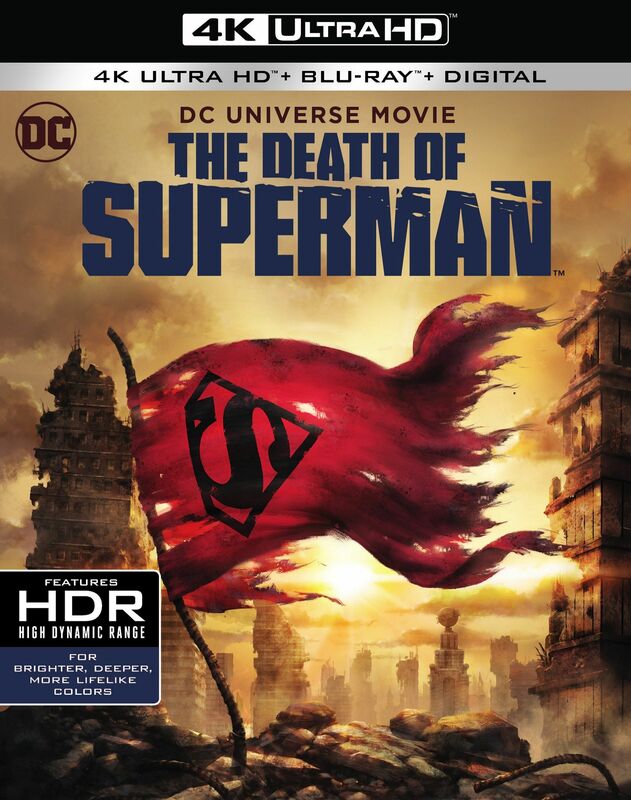 While the clash of titans that was the battle between Superman and Doomsday played out in live action in Batman v Superman, a better treatment of this classic tale can be found in the 2007 animated movie Superman: Doomsday, a title that kicked off the DC Universe Animated Original Movies line that continues to this day. The latest in that line, The Death of Superman, is a better adaptation of that story, still. 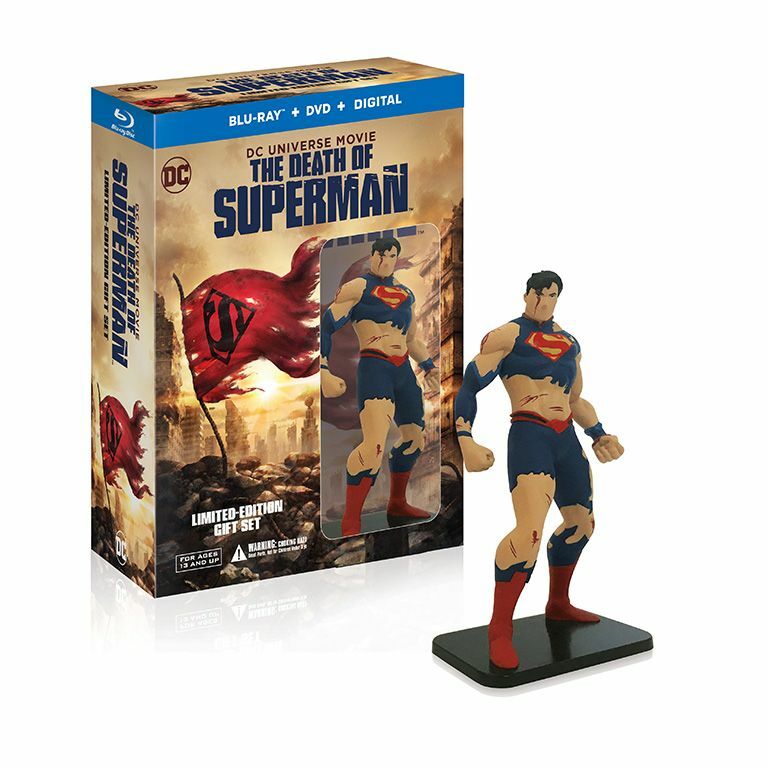 In the new, action-packed, animated movie, available now on home video, The Man of Steel meets his ultimate match when Doomsday comes to Earth, hell bent on destroying everything and everyone in his path, including the Justice League. The Death of Superman ultimately finds Superman in a fight to the finish when the Man of Steel becomes the only hero who can stand in the way of the monstrous creature and his unstoppable rampage of destruction. While this version of the story takes some liberties with the original tale and puts a lot of emphasis on humanizing not just Superman but the other members of the Justice League, it’s hands down the best knockdown, drag-out fight between the titans since the comic book arc. And perhaps best of all, this solid adaptation is but Part One of a highly anticipated two-part series that will close out with the rarely adapted Reign of the Supermen storyline. The all-star cast is led by Jerry O’Connell, Rebecca Romijn and Rainn Wilson as the voices of Superman, Lois Lane and Lex Luthor, respectively. 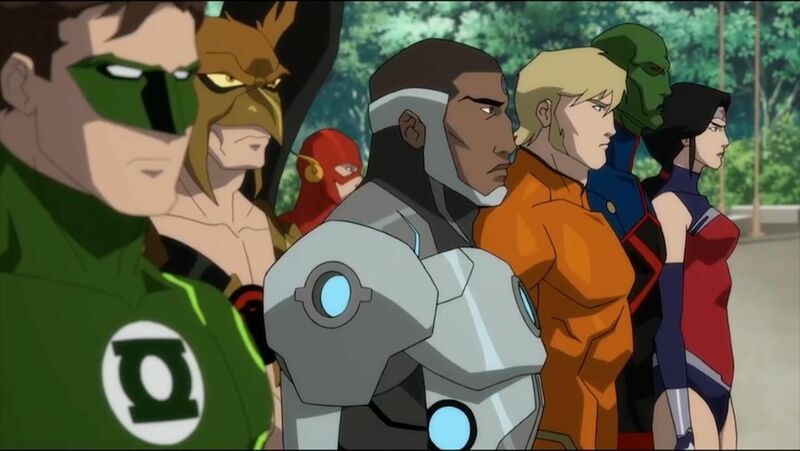 The potent trio is joined by the DC Universe Movies’ veteran returning voices of the Justice League: Jason O’Mara as Batman, Rosario Dawson as Wonder Woman, Shemar Moore as Cyborg, Nathan Fillion as Green Lantern/Hal Jordan, Matt Lanter as Aquaman, and Christopher Gorham as The Flash. The Death of Superman had a tough task ahead of it: How do you faithfully adapt a well-known story using iconic characters that everyone knows, while also setting up the sequel, but make it fresh and new enough to feel interesting without diverging too far from DC Comics’ history and core concepts? The production team found a clever way to do just that. While the narrative may take some liberties with the original story, the stunning visuals are pulled from the many pages of the “Doomsday” arc and, at times, go above and beyond them. Kudos to the Warner Bros. 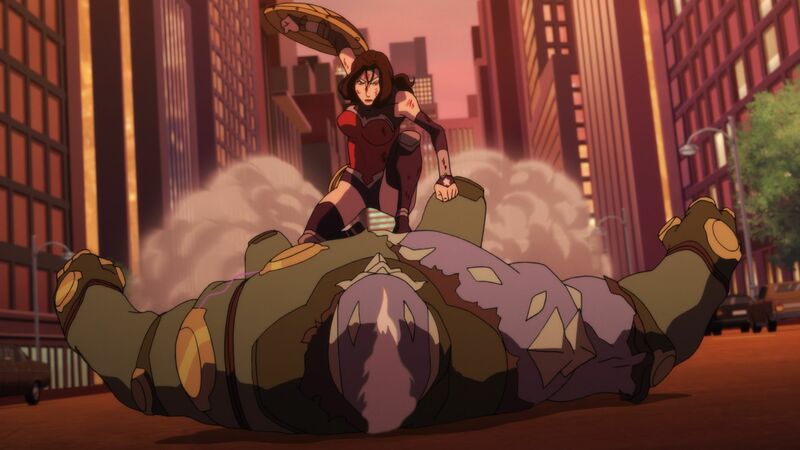 Animation and Studio Mir teams for delivering a thrilling chapter in a long-running story. Admittedly, the first half of The Death of Superman drags a bit narratively because the focus here is to show just what Superman means to the people of Metropolis. He’s a personal hero to many citizens there, folks like Bibbo Bibbowski, John Henry Irons, and Hank Henshaw. (And the comics aficionados out there should recognize those names.) He’s a looming threat to villains like Bruno Mannheim and his Intergang goons, and a thorn in the side of the ever-villainous Lex Luthor. Much of the dialogue, exposition, and even early plot points are dedicated to humanizing Superman, the better to feel the pain of his passing once the inevitable battle occurs. But there’s a lot of action to enjoy even before the big bad arrives. Superman deals with low-level villains with ease, which offers up an example of his power level and contrasts nicely with just how much he–and the rest of the League–struggle against Doomsday. There’s also the disastrous mission of the Space Shuttle Excalibur, an event that pays homage to the original “Fantastic Four” origin story in the pages of Marvel Comics, but also twists that narrative quite a bit in DC’s version; The Death of Superman uses it more as a way to establish Superman’s sometimes obsessive fandom and to tease the Reign of the Supermen. We even get to see a Superman/Wonder Woman team-up to take on Cheetah and Metallo, though the reason they’re fighting is cleverly explained plot-wise. So while the humanizing of Superman slows things down a bit, these early bouts before the prize fight keep the energy up. And then Doomsday arrives. The monster bent only on fighting and winning systematically tears through other members of the League, starting with Atlantis’ undersea kingdom. Other than a brief aside that sees Doomsday doing his best 80s slasher movie villain impression, it’s not long before the members of the League are all dispatched, even the powerful Wonder Woman. This is where the promise of the movie’s title kicks in and things get ramped up right up until the end. It’s a thrilling battle that demands to be seen because it’s unlike any other adaptation of this story we’ve seen before. The Death of Superman does fall back onto old familiar tropes in the DC Comics universe from time to time, and it’s a shame that the narrative side of things doesn’t feel the need to freshen itself up for the modern era, but since fans will seek this title out for the final battle itself, I can confidently say that it delivers. 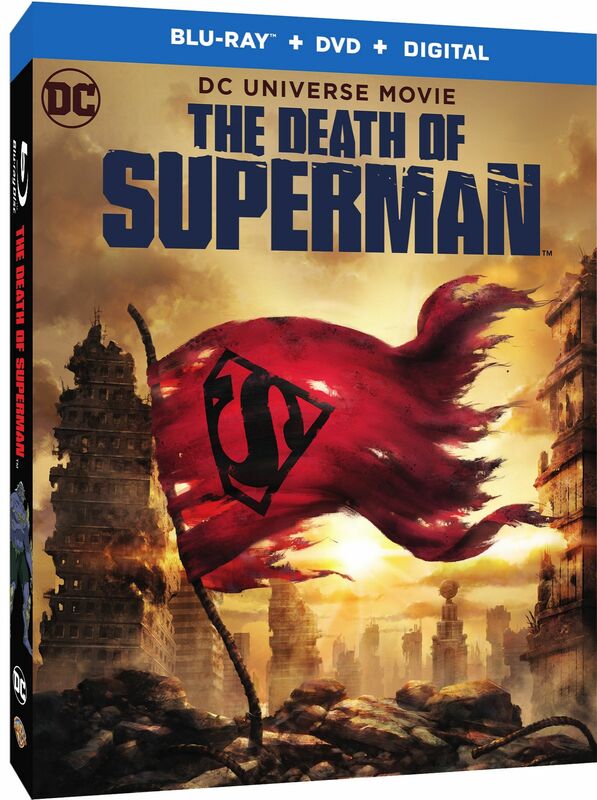 It feels like the culmination of decades’ worth of writers’ and artists’ wishes about what they would like to see in a fight between Superman and Doomsday, and now they get to bring it to life (and death) on the screen with cutting-edge animation. It’s brutal, it’s visceral, it’s kinetic and, oddly enough, believable, because as far beyond mortal men as Superman is, Doomsday is his equal, and this is a no-holds-barred street fight with no time to rest and recover. The movie’s PG-13 rating both pushes the limits and, conversely, sometimes masks the fight’s most gruesome moments, but it works well enough for the tale. And despite the familiarity of it, the story’s emotional ending never loses its gut-punch potential, especially because The Death of Superman lays down so much groundwork to show just what Superman means to people and how willing he is to defend their lives, even if it ultimately means his death. But the story isn’t quite over. 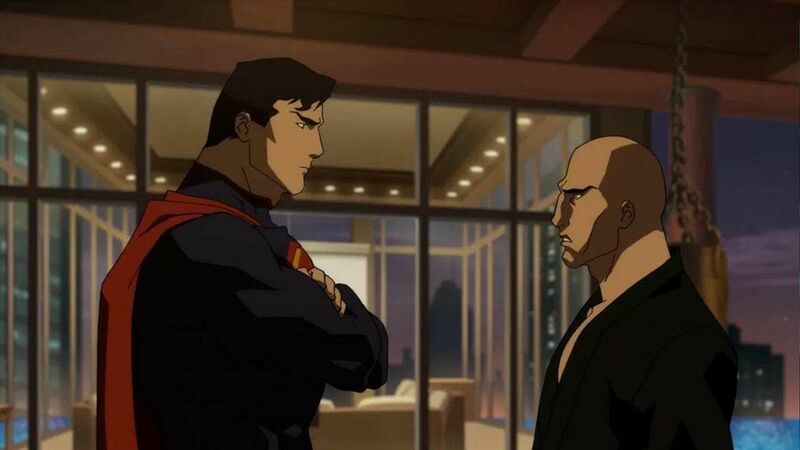 I can’t wait to see how Reign of the Supermen picks up from here, and luckily the movie’s four (!) end credits scenes offer up a solid tease. This one’s definitely worth the buy! DC Entertainment Creative Animation Director Mike Carlin, screenwriter Jim Krieg, screenwriter Tim Sheridan, Warner Home Video manager Jeff Brown, director Sam Liu, actors Cameron Monaghan, Cress Williams, Jerry O’Connell, Rebecca Romijn, Rainn Wilson, and voice director Wes Gleason talk about and tease sneak-peeks at the upcoming movie. 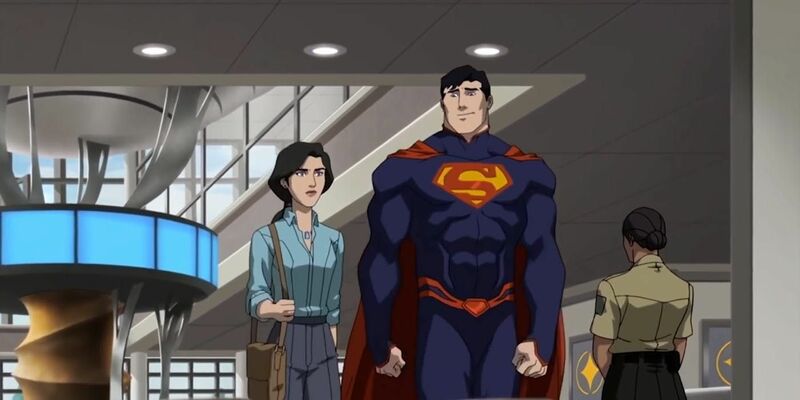 The beginning of the next movie immediately introduces the four replacement Supermen, along with questions as to which of them may be the real one, if any. The creative team breaks down their versions of the four “fake” Superman stand-ins as they’ll appear in this follow-up film–Super Boy, Cyborg Superman, Eradicator, and Steel–a first for the iconic title. There are a lot of behind-the-scenes looks here, not only of the cast but of the artwork from the original comics, concept art, character drawings for this new version, and plenty of clips from the upcoming film. The four-issue battle between Superman and Doomsday is discussed by Carlin, artist Jon Bogdanove, co director Jake Castorena, martial arts expert/consultant Christian Medina. Carlin reveals the Doomsday character’s name origin, coupled with Dan Jurgens’ original drawings and designs. Their thought was that the character needed to be big, terrifying–a personification of death, like the hand of fate–and not part of the usual rogues gallery. They compare the fight to a championship bout between heavyweights. Medina brings his improvisational fighting techniques, use of items in the environment, and his expertise in Krav Maga to bear as influences on the look of the fight. The result is a tremendous action sequence. There’s a cool revisit to the history and rollout of the comics themselves. The battle literally got bigger, more intense, and more quickly paced as it went on, going from four-panel pages, to three, two, and ultimately one; the iconic climax was basically an issue of splash pages full of unforgettable scenes, moments, and visuals. Carlin makes the point that it was a real collaboration among 10 comic book artists who shored up each others’ strengths and weaknesses throughout the run, a real rarity in the industry. From the DC Comics Vault: Legion of Superheroes Season 2, “Dark Victory: Part 1? and “Dark Victory: Part 2? – Catch this two-part animated series tie-in from the mid-2000s series’ finale. Bibbo Bibbowski gets a good amount of screen time in this one, though he doesn’t get to shoot Doomsday with a laser cannon, unfortunately. Steve Lombard gets a namedrop and cameo. Other namedrops include Pete Ross and Lori Lamaris. If you knew that the latter was a mermaid, then Ma Kent’s comment about “serving halibut” makes a little more sense. Alfred Pennyworth, Damian Wayne, and even Bruce’s Great Dane Titus get a cameo near the movie’s end. The town Doomsday is stomping through, Carlin Heights, is named after Mike Carlin, editor of the original comic book crossover arc and current Director of Animation for DC Entertainment.